With the exciting contemporary style of the sweeping padded arms and plush pillow back design, the sleek beauty of the Darcy Stone Chair is sure to awaken the decor of any home environment while offering the comfort that you have been searching for. The overstuffed cushions and soft upholstery will keep you comfortable for hours on end. Its light-colored fabric makes this both versatile and stylish. Add this modern chair to your home today and enjoy its many exciting comfort features. 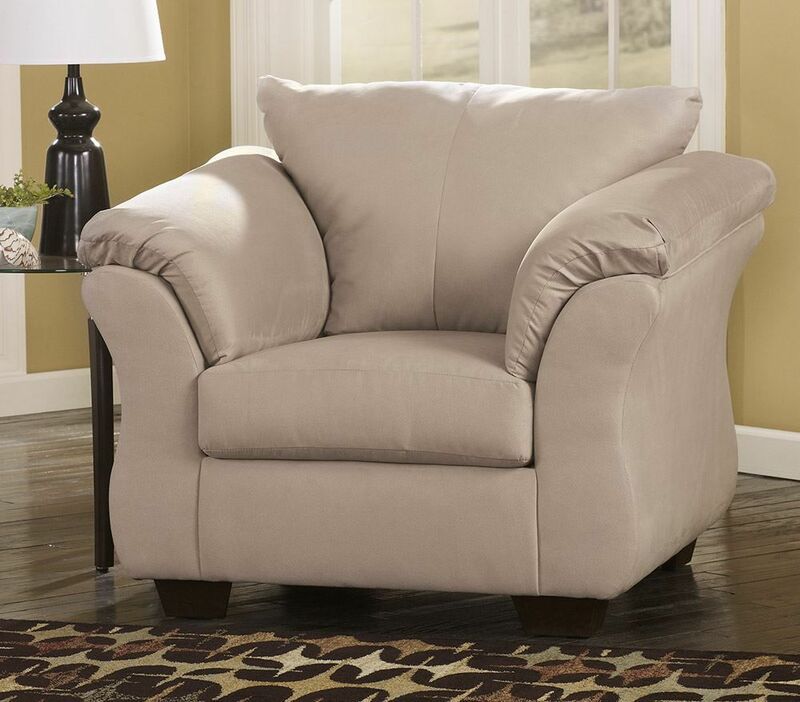 Add the modern Darcy Stone Chair to your home today and enjoy its many exciting comfort features. Frames tested to GSA government standard. All fabrics pre-approved for wearability and durability against AHMA standards.